ZANESVILLE, Ohio – The McCoy Pottery auction was an overall success. The first half of the private McCoy Pottery collection was sold off last week. Owner of Koehler Auctions, Jeff Koehler said bidders were able to make once in a lifetime purchases. “There was a lot of rare, sought after, one of a kind items that you’ll never be able to find again anywhere,” said Koehler. Koehler said some of the more rare items sold for a couple of thousand dollars apiece, and even set a few world records for McCoy Pottery. 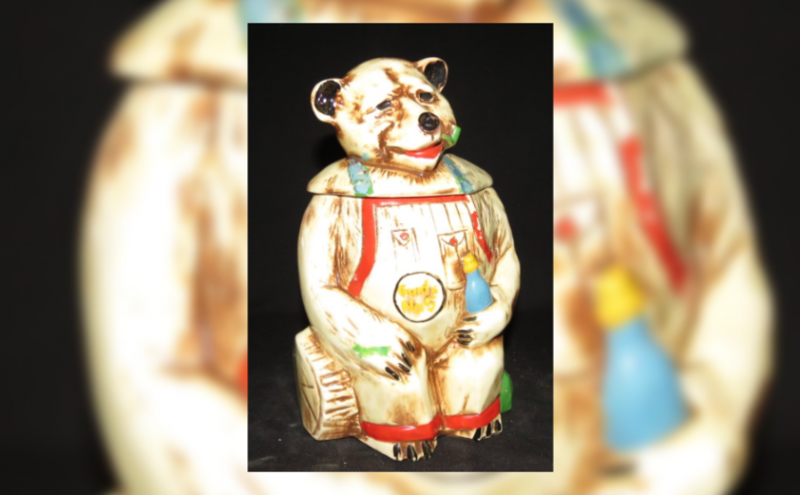 He said the highest selling piece was the Hillbilly Bear cookie jar that went for $25,000 and made one couple very happy. “They were on Martha Stewart Show a couple months ago with some of their jars and they were telling Martha Stewart how they were hunting the Hillbilly Bear and hopefully someday they would get it, which they were the winners there last Thursday,” said Koehler. Koehler said the second half of the collection will be auctioned off next summer and that there are still some rare, and unique pieces to be sold.